Express will head into the international break still searching for their first league victory of the season. The Red Eagles who drew 0-0 with URA in their first game, were defeated 3-1 by Mbarara City on Sunday at the Kavumba Recreation Grounds. Karim Ndugwa, Ivan Eyam and Hilary Mukundane scored for the hosts turning Mubarak Nsubuga’s would be equaliser into a mere consolation for the visitors. 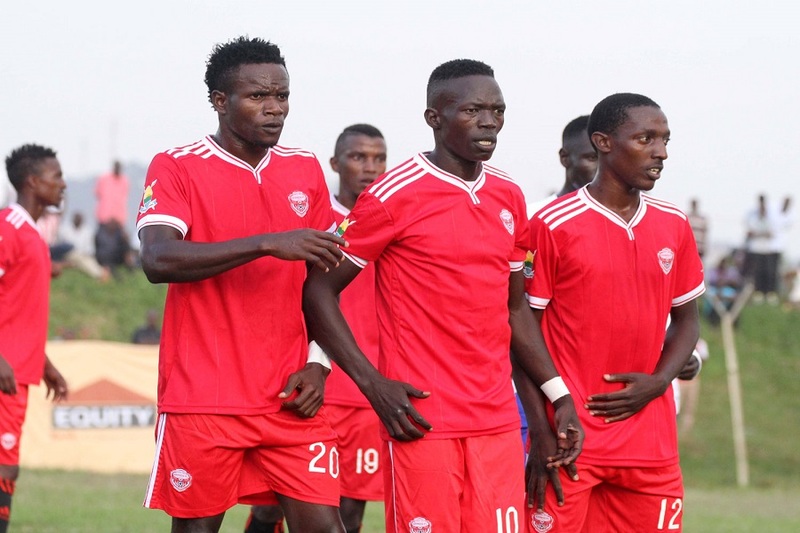 Ndugwa broke the deadlock after fifteen minutes to send the hosts into the lead but that lasted just five minutes as Nsubuga leveled matters for the Red Eagles with a header off Tony Odur ball. Six minutes after the halftime break, U-20 international Ivan Eyama restored the hosts lead with a fine goal that ensured Mbarara City led 2-1 going into recess. Defender Hilary Mukundane extended the Ankole Lions’ lead eight minutes after the break and the goal eventually sealed a well-deserved victory for Charles Livingstone Mbabazi’s charges. The three points lifted Mbarara City to 6th on the table with 3 points while the Red Eagles dropped 13th with one point after two games. The league goes into the international break and returns on October 16 with among other games, Express visiting Police FC at StarTimes stadium, Lugogo.